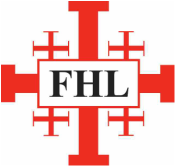 Friends of the Holy Land (FHL) was established in 2009 to support the Christians in the Holy Land. FHL works in close cooperation with the Christian churches in the region and in the UK. Their work is entirely non-political and is carried out with the backing and blessing of Anglican and Catholic Bishops in England and Wales. To raise awareness of the challenges they experience. To encourage prayers to be offered for their intentions. To generate and channel financial resources to provide a sustainable future. To encourage visits to the Holy Land to meet with local Christians. The parish of Our Lady and St Anne established a focus for FHL in June 2012 and works through a group of volunteers and interested parishioners in the parish co-ordinated by Stephen Roberts. Since 2012, through meetings, social activities, crib collecting boxes, sales of olive wood products and generous giving (including monies from sponsoring the parishioner, Damian Colehan, for walking a segment of the Camino de Santiago in Autumn 2014) we have raised more than £3,000. Our fundraising contributes to FHL central funds, which are targeted at families in Bethlehem and its locality to provide support for self-sustaining activities and improvements to housing, as well as social and educational support. The focus is on ‘investing’ in the communities to sustain family and community life by assisting employment, helping in the care of young and old, and providing means to strengthen the fabric of everyday life. The problems facing Christian people in the region are intractable, as indeed are the wider relations between the two other major communities. But small things done often send out bigger, stronger and always hopeful messages. So, the things we do actually make a contribution to the wider picture. Maintaining awareness, and providing a space to talk about the theme, also plays a part. The central organization of the FHL is Kenilworth, Warwickshire and has built up great contacts in the communities themselves, so do look at the FHL Newsletter and keep an eye on the website at www.friendsoftheholyland.org.uk to learn about project successes. Our Lady & St Anne’s FHL group works very closely with the Parish social group (The Social Side) and we often get together with them in their activities. From time to time The Social Side provides bacon butties etc after the 10.00am Mass on a Sunday. We often join them and set up our stall selling various olive wood items. 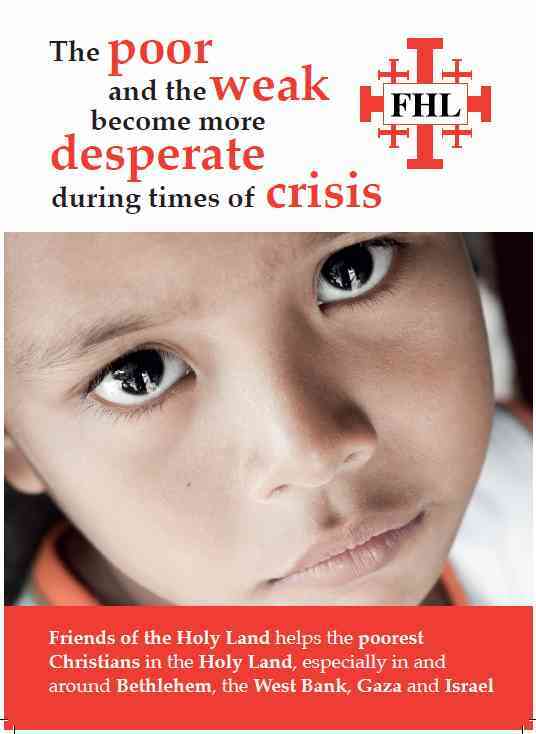 This gives us the chance to meet parishioners, tell them what the purpose of the FHL is, and gives us the opportunity to make some money for our cause. Keep an eye on the noticeboard at the church entrance and read our announcements in the parish Newsletter. Practical deeds and prayers are making a difference. If you would like more details please explore the FHL website http://www.friendsoftheholyland.org.uk/Home and follow the links to other organisations who work with Christian communities in the Holy Land, and further afield. We welcome your support, giving, participation and prayers!